The Genome Browser provides an interactive graphical representation of the alignment of genes and other genomic features depicted along a horizontal axis of genome coordinates. 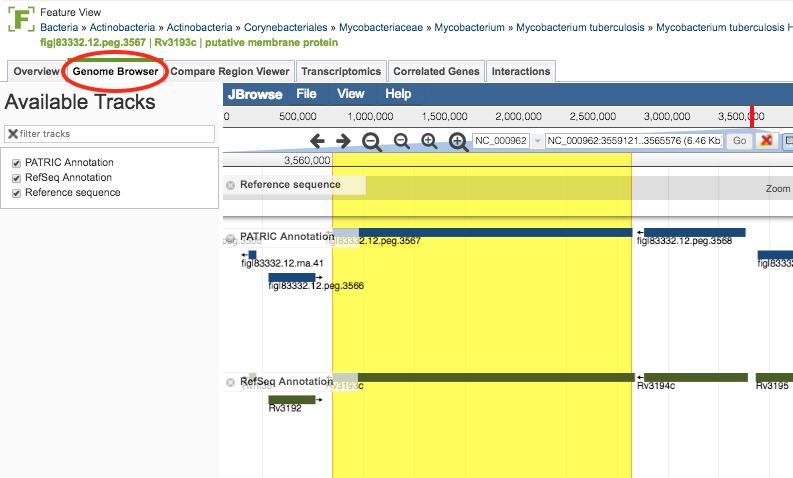 Clicking the Genome Browser Tab in a Feature View displays the interactive Genome Browser, zoomed in to the feature with highlighting. shown below.